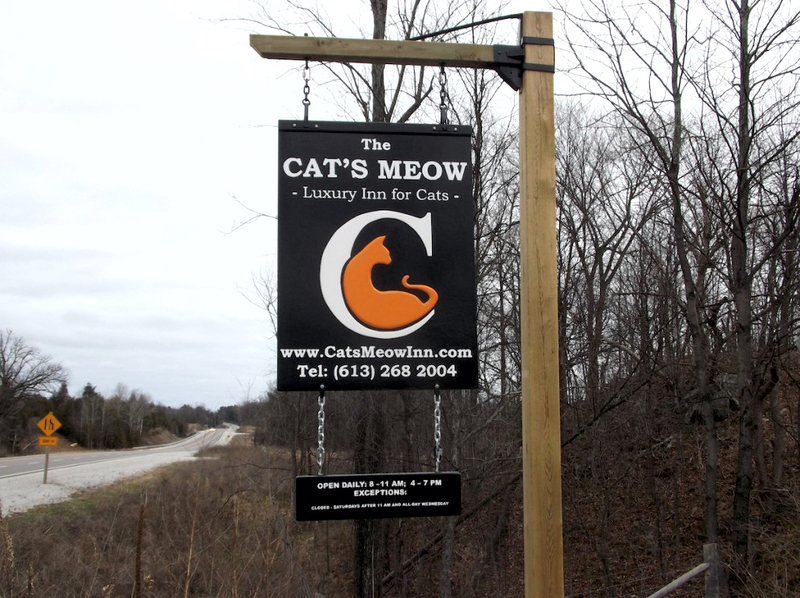 Cat’s Meow Luxury Inn offers a cats only, deluxe boarding and grooming service, featuring luxury cage free suites, and private, safe indoor/outdoor access. This is the best-of-the-best cat boarding facility in the Ottawa area! In the winter months our cozy fireplaces keep the kitties nice and warm. We have a rocking chair and you will often see us with a cat on our lap. When it is time to go to bed we tuck our cats in with a nice bedtime treat – another great day at The Cat’s Meow! One of the things that makes a significant difference for our regular clientele is that we get to know your cats and they get to know us! We do not have a staff that come and go. At The Cat’s Meow Inn, we love the work that we do and many clients come to think of us as extended family– some even calling us their kitties’ auntie and uncle! Working directly with your cats daily we get to know their personalities– whether they prefer tummy rubs or chin scratches, batting a ball or hide-and seek. When you call to get an update on your cat’s progress you talk with the owners directly. That’s refreshing. Cat’s Meow Luxury Inn is a cats-only facility which means that the kitties enjoy peace and tranquility while they are here. Our clients return again and again because of the quality care we provide. We understand that your cats aren’t just pets but family members. That is just one of the reasons that people travel from as far as Toronto and Montreal, because they know their cats receive the very best in accommodation and service here at The Cat’s Meow. Here’s What We Did in 2018 (with a little help from our friends). You can read more about it here here>>. 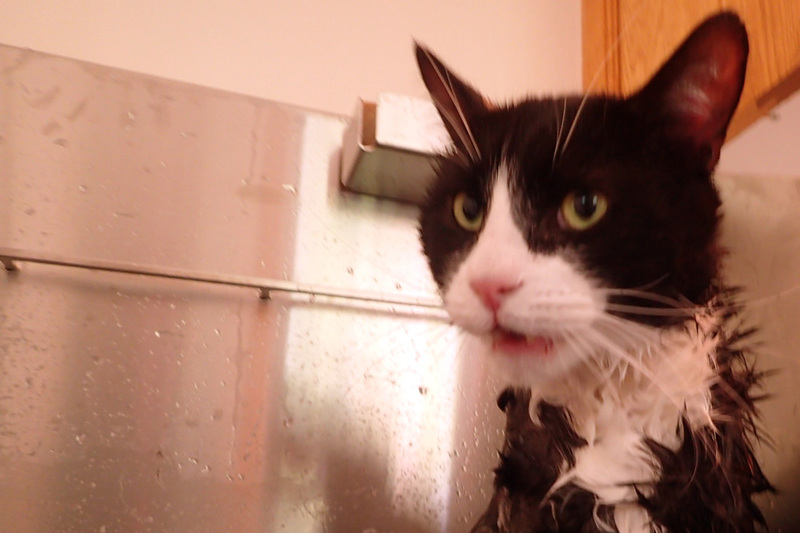 Ottawa area’s premiere cat hotel is celebrating 20 Years. You can read more about it here here>>. Did you know we offer up to 100 sq. 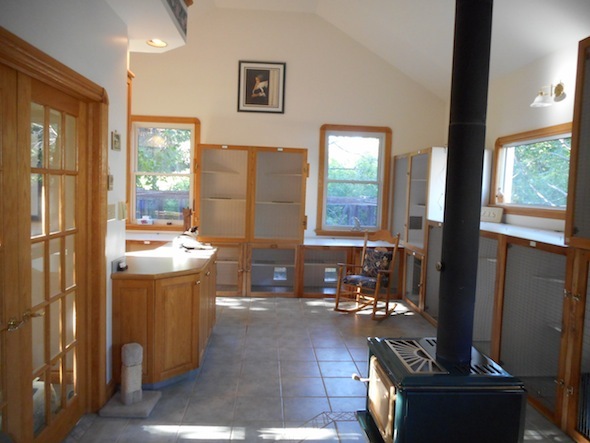 ft. private accommodations that will spoil even the most pampered cat? See here for a description. Call us today to find out more! 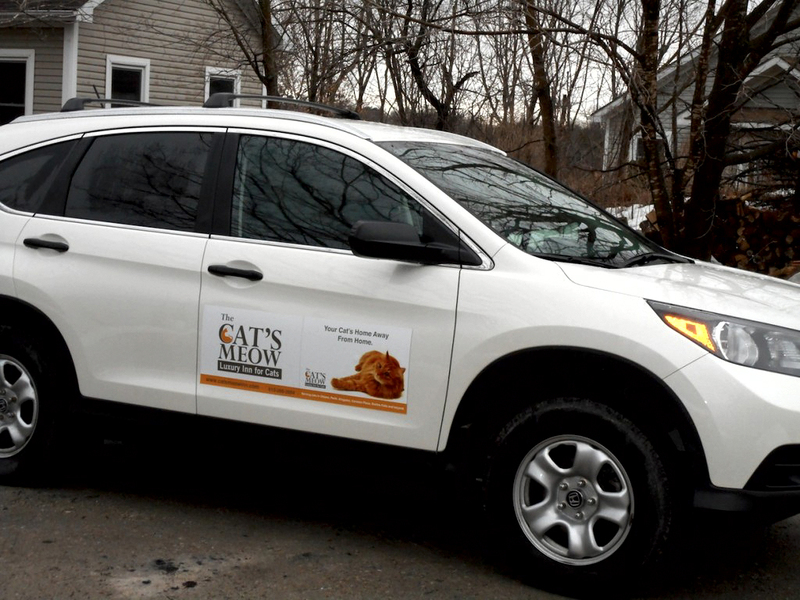 Look for the Catmo around town and be sure to say hello if you see us!